Millgrove residents with Maureen Halit and Sally Brennan. 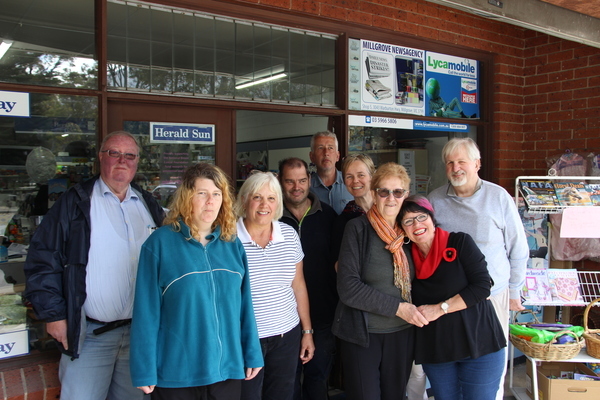 The Millgrove Newsagency doesn’t sell lotto tickets so there are usually no jackpots to be collected there. That was until nearly $200,000 unexpectedly came the way of the Millgrove Residents Action Group. On 8 November, Labor Northern Victoria incumbent, Jaclyn Symes, announced that the State Government will provide $192,781 from the Community Support Fund to develop the Millgrove River Road Community Walking Track. 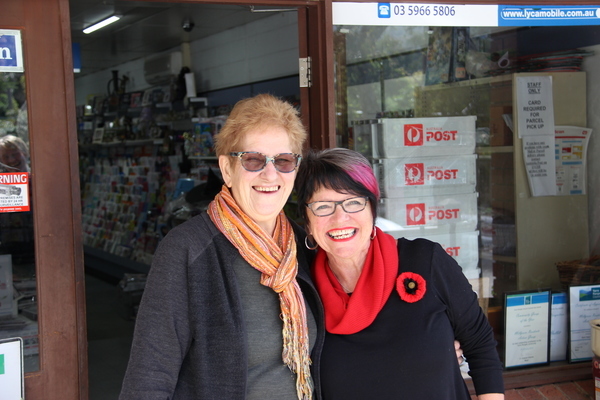 Delivering the good news fell to Labor Eildon candidate Sally Brennan, who made the surprise announcement to the residents gathered outside the newsagency. 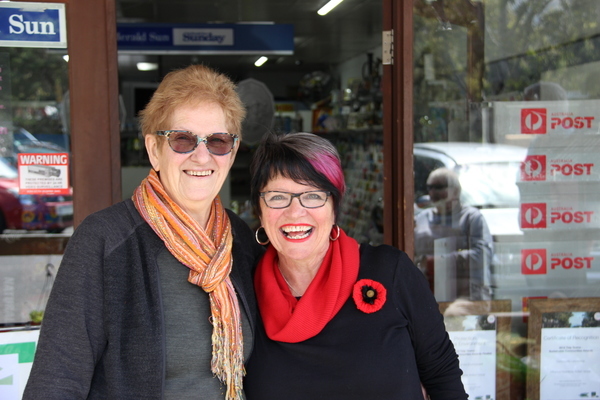 Maureen Halit was born in Warburton and has lived in Millgrove for more than 50 years. She is fiercely proud of her town and along with the other members of the resident’s group had all but given up on ever seeing their project come to life. “We had already done a submission to the council, which they liked, so when the PMP came along we thought we might as well have a go,” she said. 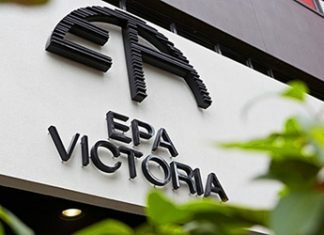 The PMP program attracted 2,300 entries from across Victoria with over 95,000 votes cast. With a population of just 1600 it was always going to be difficult for Millgrove to get enough votes to be selected. The program had total funding of $30 million and there were just 237 projects funded, with around half coming from regional and rural areas. Ms Brennan said that some really valuable PMP projects didn’t get up and this was certainly one of them. “A project like this is a really big boost to the morale of the whole town. I applaud the work of the resident’s group and it is their hard work that has got this done,” she said. Ms. Brennan stressed that this funding was not an election promise and it will be provided irrespective of the outcome at the polls. “This is funded, not an election commitment,” she said. Millgrove Residents Action Group Secretary, Bob Lillie, said that after all the years of talking about the track it is hard to comprehend the reality of it happening. “Everyone I talk to has wanted this to happen for so long and we’re all excited now it is going ahead,” he said. The track will be a mix of a ‘soft’ path on the Yarra River bank and a widening of River Road, designed to give access to a safe and engaging pathway to schools, shops, churches, public transport and recreation. The track will make it easier to connect with the river for paddling, swimming, canoeing, fishing and picnics. There will be signage erected to educate people about the Yarra River and its heritage. Looking ahead some further stages have already been planned, including a viewing deck, a pedestrian extension to Dee Road Bridge and creating a loop across the river with the existing Dee Road Walking Track. The next stage is to start the detailed design and planning work and for Yarra Ranges council to set up the resources to transform the dreams of the Millgrove residents into reality.